Hayden Park isn’t known to be an easy course. 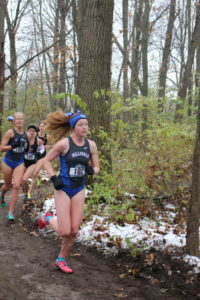 Running in freezing tem­per­a­tures and light snow cer­tainly doesn’t make it any easier, but that didn’t faze Hillsdale Chargers at the NCAA Division II Midwest Regional on Nov. 17. 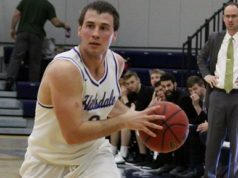 Hillsdale went into the race ranked fourth in the region, but battled to take second place with 104 points, qual­i­fying the team for the NCAA Division II national meet. Regional favorite Grand Valley State Uni­versity earned first place with 26 points. Michigan Tech Uni­versity took third place with 116 and G-MAC rival Walsh Uni­versity came in fourth place with 117. Junior Arena Lewis had a great day, fin­ishing first for Hillsdale and fifth overall. Her per­for­mance of 21 minutes and 41.3 seconds was a new per­sonal-best. She also earned her second G-MAC women’s cross country Athlete of the Week award. Sophomore Lauren Peterson also earned a per­sonal best, beating her old record by 40 seconds. She was the fifth Charger to cross the finish line, coming in 42nd overall with a time of 23:09.8. Filling in the gap between Lewis and Peterson were sopho­mores Maryssa Depies and Christina Sawyer and senior Ally Eads. These three Chargers all fin­ished within seven seconds of each other, which is the nar­rowest gap they’ve had all season. This was a key factor in clinching a place in the national meet. 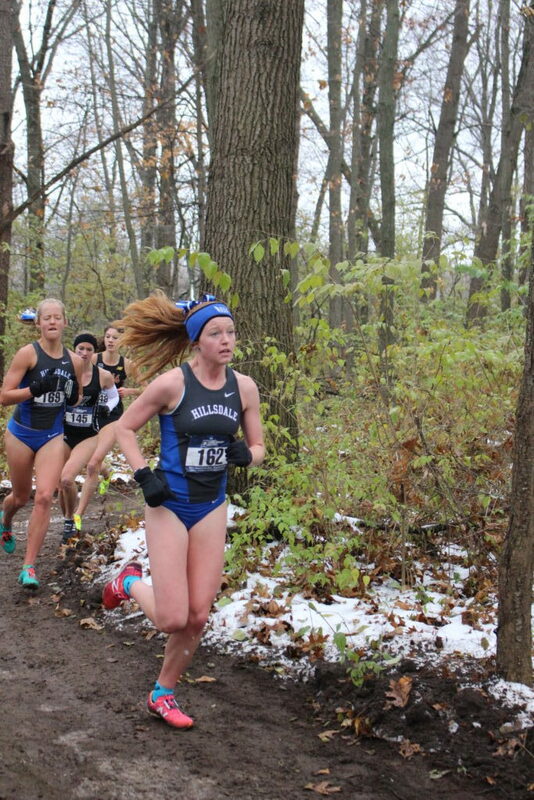 Eads has qual­ified for nationals in all four of her cross country seasons. Depies fin­ished 14th overall in 22:13.9. Eads came in 19th with a time of 22:20.1. Sawyer fin­ished in 22:27.5 to take 24th. Each Charger fin­ished ahead of a Walsh runner as well, securing their second place finish. Rounding out the Chargers were junior Kate Van­der­stelt and sophomore Megan Poole. The two took 91st and 93rd, respec­tively. Van­der­stelt fin­ished in 24:07.3 and Poole was right behind in 24:09.1. The Chargers leave on Wednesday for Pitts­burgh, Penn­syl­vania to compete in the national meet on Sat­urday in Schenley Park. 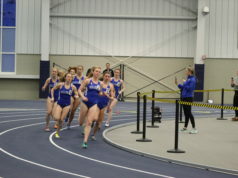 The race begins at 12:15 p.m. Five of the seven Chargers going were on last year’s national-qual­i­fying team, which means this year the girls will have more expe­rience and a better oppor­tunity to compete. Well done, Ladies. Next year we’ll have to beat GVSU, I have some history with that school and I LOVE to beat them in sports!